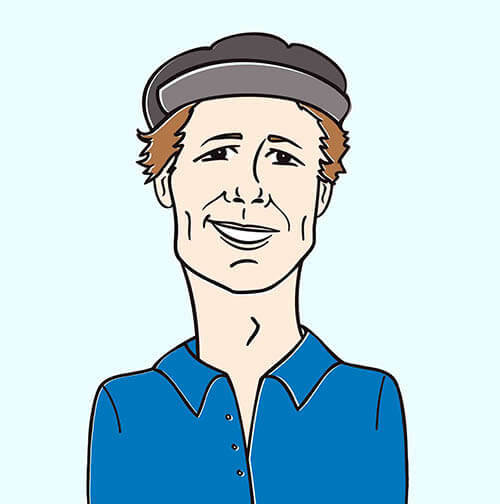 Hello fellow music lovers, it’s Andy Gesner and the gang from HIP Video Promo, here with a delightful new song and clip from a stellar artist with an eye on the charts. If Katia’s glamorous, video-ready appearance strikes you as slightly exotic, there’s a reason for that — the explosive young singer is a native of St. Petersburg in Russia. And while she specializes in splashy, immediate sonic confections, this classically-trained pianist has skills that run far deeper than those of the average pop chanteuse. At ten years old, she performed with the Russian Philharmonic; her music is sponsored by the Baldwin piano company; her playing incorporates elements of jazz, European folk, and Twentieth-century standards. Like Alicia Keys or Norah Jones, she makes music that flows so effortlessly that it’s possible to miss the harmonic sophistication of her writing. She’s put her talents toward crafting timeless music suitable for audiences of all ages, and with the expansive “Girl Like Me”, she’s come up with a song that seems guaranteed to make her a star on both sides of the Atlantic. She’s caught the ear of some high-profile industry veterans, too. The legendary David Kahne –who has worked with everybody from The Strokes to Paul McCartney to Tony Bennett — takes the producer’s chair for Katia’s sessions. Tony “Hit Man” Maserati, whose name is on the liner notes of many of the most popular R&B albums of the decade, mixed “Girl Like Me”. Vic Flowers (Alicia Keys, Jay-Z) and Steve Greenwell (Joss Stone, Diane Birch, Jonas Brothers) contributed to Katia’s upcoming EP. But none of that would matter at all if Katia herself didn’t write and sing irresistible pop. As those who attended this November’s performance at the industry hot spot Joe’s Pub know well, she’s a stellar concert performer, too, radiating easy charisma and infectious energy. Next month, she’ll be headlining at New York’s Webster Hall; look for that to be a breakthrough performance for this gifted artist. The clip for “Girl Like Me” is something of a coming out, too. Because one Katia couldn’t possibly be enough, director Danny Hastings has given us four: one on bass, one enthusiastically pounding the drums, one strumming a compact electric guitar and singing, and another (of course) at a bright red Baldwin piano. The surreal band — each one dressed and made-up a little differently — plays in a room wallpapered with news-sheets. What’s remarkable is that each of the Katias seems entirely comfortable on her instrument: even the drummer thwacks the snare with the authority of a born musician. It’s a bit like a strip of four shots from a photo-booth set in motion — and, indeed, Katia is shown entering a booth elsewhere in the clip and posing in front of the flash. It’s just one of the many Coney Island sights captured in the “Girl Like Me” clip. Katia’s taking us on a tour of the world-famous neighborhood (and one, through its proximity to Brighton Beach, well-known to expat Russians); we’re shown the Wonder Wheel, the gazebos of the Boardwalk, the parachute tower, and the sights on Neptune Avenue. She seems thrilled to be there; we’re just as excited to watch her. We’re pleased to be working with Katia’s team to be bringing you this dynamic new clip. If you need more info, call Andy Gesner at 732-613-1779 or e-mail us at info@HIPVideoPromo.com . You can also visit www.MySpace.com/KatiaMusic to find out more about Katia.